We are a family of movie lovers. 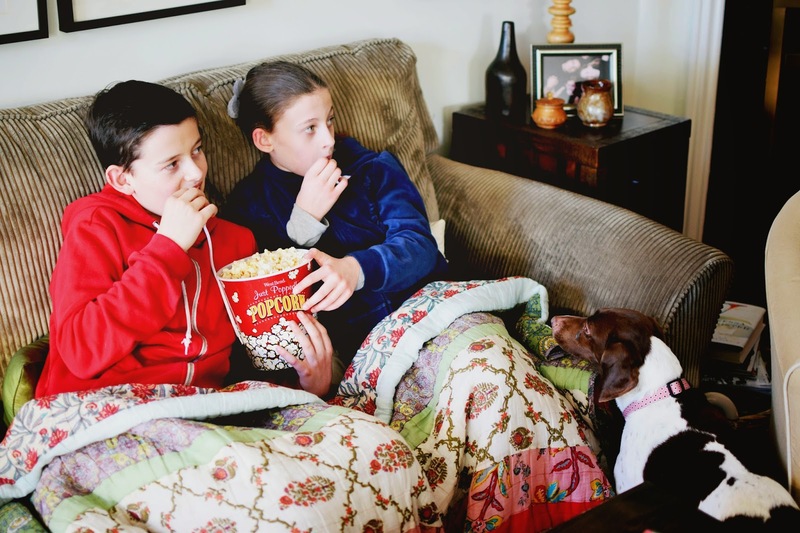 There are few activities we like more than curling up on the sofa with some popcorn to watch our favourite family flicks. So I asked the family to join me in picking our top 5 family movies. 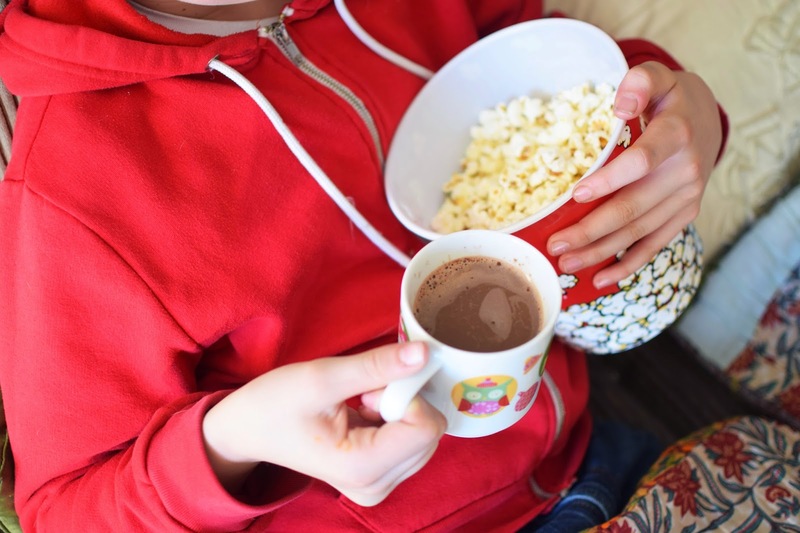 It wasn't easy, because there are plenty of great family movies, but we narrowed our selections by choosing movies that all four of us enjoy (ie. they are entertaining for both boys and girls as well as Mom and Dad). So no Barbie movies (although my guilty confession is that I love those Barbie movies!) Read on for the list. But first, a snack. When the January blues hit, you need to take advantage of life's small pleasures - like hot cocoa, warm blankets and cuddly dogs. 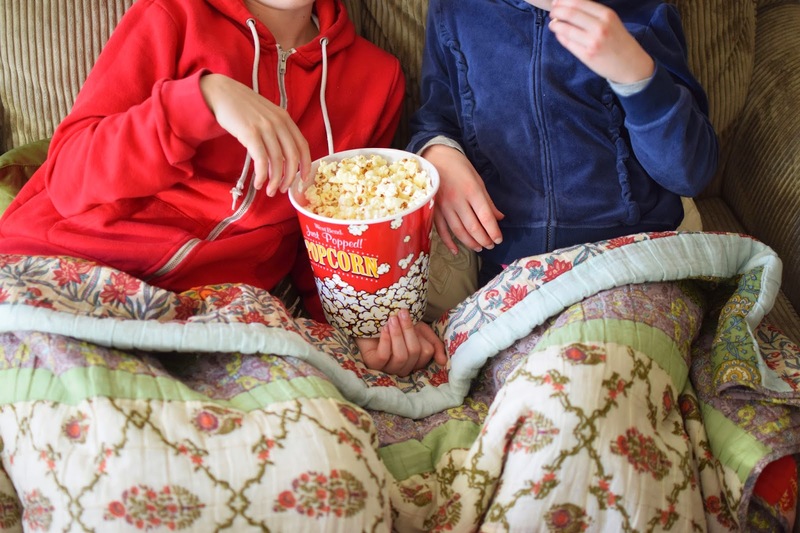 On a recent movie night, we enjoyed treats courtesy of Popcorn, Indiana - Popcorn, Indiana popcorn is made from non-GMO corn, without added preservatives, colourings or artificial flavours. 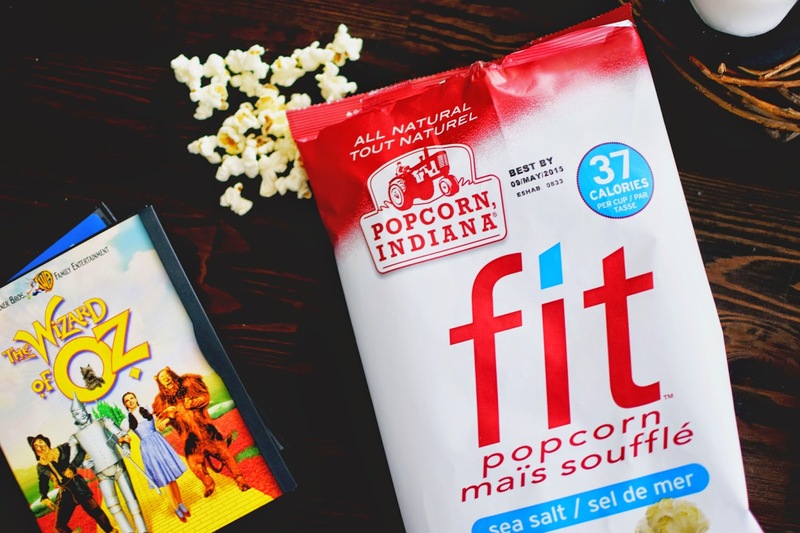 Popcorn, Indiana's fit popcorn is all natural, whole grain, gluten free and 40 calories or less per cup. The sea salt and olive oil varieties are vegan-friendly and NON-GMO Project Verified. We sampled the sea salt flavour on our recent popcorn-and-a-movie night. I confess I was a bit worried that the children would find it too plain (in comparison to decadent movie theatre popcorn), but I needn't have worried. My son kept saying, "This is soooo good!" I'll definitely get this again, since it makes a healthy yet appealing snack choice for the kids (and me!). My favourite type of popcorn is caramel corn. 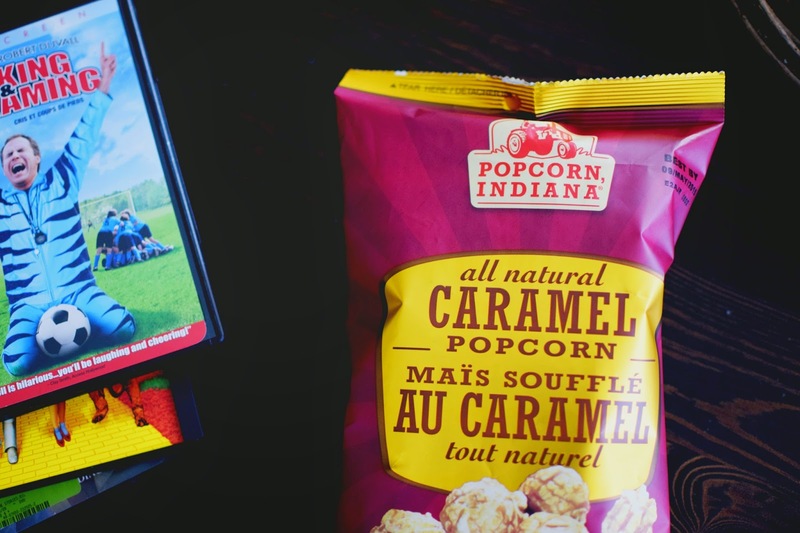 I was happy to learn that Popcorn, Indiana has an all natural caramel popcorn that's vegan-friendly (not made with butter like so many other caramel popcorns). And it's delicious! In fact, I am inclined to eat the whole bag myself. Like, I have to ask my husband to take the bag away from me. Seriously. It's that tasty. It's also fat-free (which is not to say there are no calories). 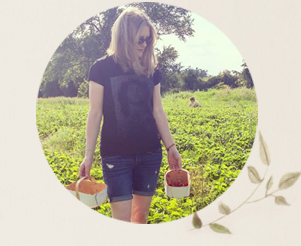 Check out the other varieties (some vegan, some not) of Popcorn, Indiana popcorn on their website. (Not all varieties are available in Canada.) The company uses special kettles, filled by hand by real people, to produce their tasty popcorn. The puppies like to cuddle in and watch movies too (and grab as much dropped popcorn as possible). 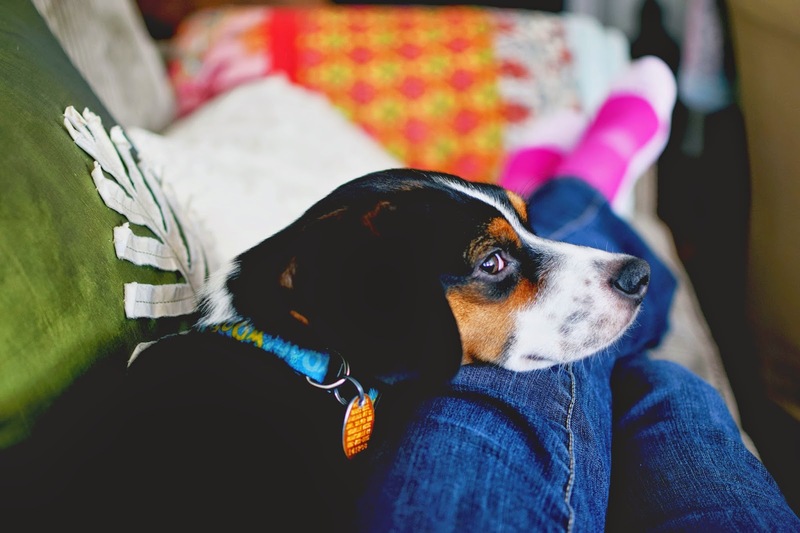 Dogs make great foot-warmers too! 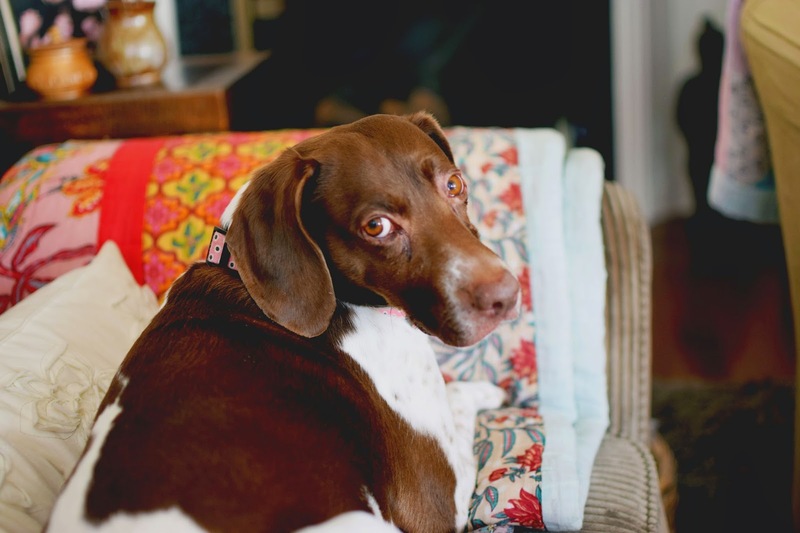 You don't hear that benefit of having dogs mentioned often enough as far as I'm concerned. I adore this movie. It's meant for kids, but I request it more than my children do. It stars funnyman Will Ferrell as Phil, a gentle soul raised by an overbearing and competitive father named Buck (played by Robert Duvall). When Buck, coach of a successful little-league soccer team, benches Phil's son Sam, Phil decides to coach his son on an underdog team, with the help of football player Mike Ditka (playing himself). It's funny and cute and very family-friendly. Trust me on this one. This is my son's first choice of family movie. The only animated movie on our list, this sweet film stars the voice of Steve Carell as Gru, a supervillain who becomes the unlikely adoptive parent of three little orphan girls. Gru is initially on a quest to become known as the greatest thief who ever lived. There is lots of action and some very cute yellow minions, but ultimately it's the beauty of Gru's growing bond with the three little girls that draws me to this film. My husband (the guitar player and school teacher) chimed in with this one. But we all love Jack Black as Dewey Finn, a ne'er-do-well metal guitarist and unqualified supply teacher determined to win a regional battle-of-the-bands competition. I love the great Joan Cusack as Principal Mullins too. A favourite of my little girl (and also of my sister). Dorothy. Toto. A yellow brick road. You know the drill. A classic. This had to be on the list simply because we have watched it sooo many times! Apparently it didn't go over well with critics, but my family enjoys this story about Skeeter Bronson, a hotel handyman trying to win back management of the hotel that is his father's legacy. The film follows Skeeter as he discovers that the bedtime stories he tells his niece and nephew begin to come true. It's pure fantasy and fun. My husband and my son also wanted me to put Nacho Libre on the list, but I just couldn't. Sorry. What's your favourite family movie? What flavour of popcorn would you eat while watching it? Residents of Canada may enter to win 6 assorted flavours of Popcorn, Indiana! Yum. Enter using the rafflecopter below until February 9th. *This post is sponsored by Popcorn, Indiana. All opinions are authentic. Thank you for supporting the awesome companies that partner with Woman in Real Life! The Wizard of Oz is MY all time favourite, but as a family, Benchwarmers always has all of us laughing our butts off...and would love to try the sea salt and olive oil flavour. My favourite is Monsters Inc.
We like all Toy Story movies, and our favorite is caramel popcorn. Toy Story is great too! Kids movie that adults would also appreciate. 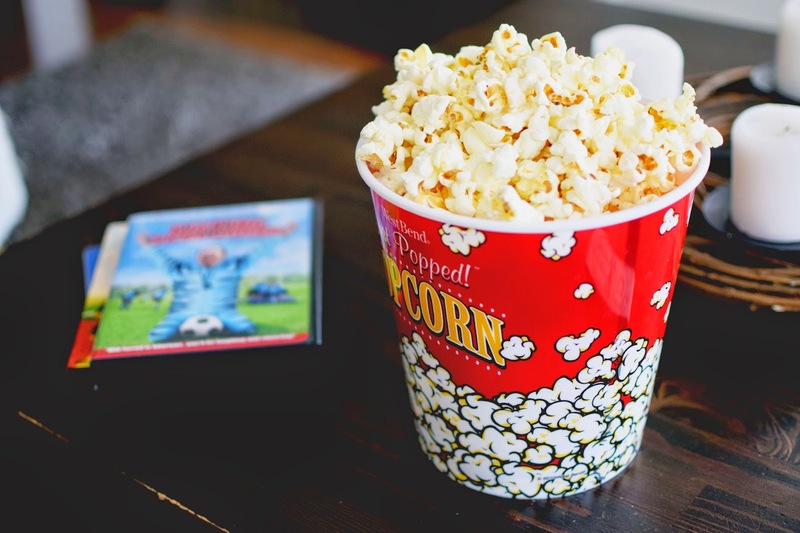 The Incredibles, Monsters Inc, etc.. Fav popcorn would be something cheezy! 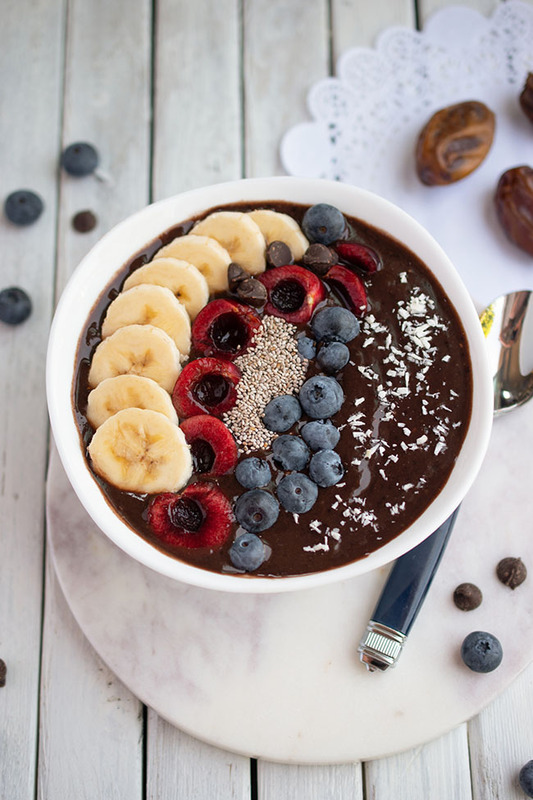 I love most James Bond movies, and the vegan caramel sounds wonderful for movie munching! All the Harry Potter movies and we love caramel popcorn ! This is an oldie but so good! We love Angels in the Outfield! I'd be eating Caramel Popcorn! I love all Pixar movies. My favourite popcorn is extra butter with some ranch powder! We love watching all the Toy Story movies. We love buttery popcorn, but my husband and I like to sneak in junior mints and gummy bears into our bowl. We love Despicable me and we would eat caramel popcorn watching it. the hobbit and lord of the rings series does well in this house. comedy and adventure! i love the fresh idea of sea salt - but i will admit to mixing a bowl with cheesy party mix so the flavours work together. My family enjoys watching the old TV series "Hazel". We would eat regular buttered popcorn while watching these shows. ET is an oldie that our family enjoys. Think I'd be munching the Sea Salt & Olive Oil flavor. Our favourite family movie is Home Alone and we would eat the caramel. We were fans of Nanny McPhee when the kids were younger! And it would be a toss up between sea salt and caramel. Actually, I'd eat 'em both at the same time! Our favourite movie is Despicable Me and I will be eating caramel popcorn. Fav family movie would be Lord of the Rings, and we like white chedder popcorn. Favourite family movie: Planes, Trains and Automobiles. Popcorn: plain old popcorn, lots of butter! MY DOG SKIP with plain popcorn. We love cheddar popcorn (plain with cheddar seasoning is good also!) . My kids are young so we watch cartoons, they love Ben 10. The Sound of Music. I use to watch it over and over with my daughter when she was little. Right now "Frozen" is the current fave movie and popcorn with sea salt seasoning. My favorite family movie is Elf. Our favourite movie is Ratatouille! We eat regular popcorn when watching it! My fave family movie is Charlie and the Chocolate Factory and I love caramel popcorn! Toy Story, my son loves it! My brother likes to watch The Hobbit and Pirates of Caribbean. Despicable Me is another favorite. Probably salt or caramel. We love Finding Nemo and enjoy caramel popcorn best! We love Toy Story, even as we get older it is still one of our faves. We would like to eat the cinnamon sugar if it is available in Canada. There are so much nice to watch :) but Shrek is a classic that doesn't get old! Probably Caramel flavour, love it! Neverending Story is a classic we re-watch. This goes well with caramel popcorn. One of our favorites is Bee Movie! It's so funny. And we would love to watch it while eating Aged White Cheddar popcorn! Cloudy with a Chance of Meatballs and with the Chicago Mix! Our favorite family movie right now is Parental Guidance. My kids like to have salt and vinegar on their popcorn. Our favourite movie is UP. We eat regular popcorn. Jo, you already mentioned my all time fav The Wizard of Oz but my question to you is how did you get my niece and nephew look like they liked each other and share a blanket? Back to the Future is one of our family favourites. We love real buttered popcorn or salt and vinegar seasoned popcorn. We like to watch Despicable Me together. ANd We like Caramel Poporn. We like the Lego Movie and just buttered popcorn. We love to watch Dumb & Dumber while we eat caramel corn! We love cheese popcorn with anything Disney! The Goonies is my fave! Buttered popcorn! Like to watch Disney movies. and eat a tasty bag of buttered pop corn. We enjoy the Back To The Future movies and would eat caramel popcorn while watching! Any Pixar movie and eating ketchup flavoured popcorn! or Caramel popcorn! We love Beetlejuice! Hot buttered popcorn rules! Despicable Me with buttered popcorn! We're back into Harry Potter. We started win The Philosopher's Stone a few weeks back and have watched one per weekend since then! I most enjoy Caramel Corn myself so that would be my pick. Thanks for a great read and giveaway! My favorite family movie is The Nightmare Before Christmas. Butter popcorn. I love E.T and carmel corn! We like Finding Nemo. Favourite is kettlecorn. We are a movie only household here, no TV of any kind so movies movies. We absolutely love the Minions . Any kind of popcorn . My toddler loves Caramel corn and a homemade cinnamon brown sugar popcorn. This would be awesome thanks for giveaway. We Love Dispicable me and would love caramel popcorn with it. Madagascar is my favourite family movie. I love to have cheese popcorn while I watch it.